SMB IT resellers in Canada are beefing up their business models with consulting and IT services as they fight for market share in their hyper-competitive niche which is under threat by the exponential growth of cloud services. A new ITWC national survey of the community sponsored by GoDaddy found that almost 60 per cent of SMB IT resellers’ income comes from IT consulting and IT services. Sales of computer hardware and networking account for only 12 per cent of revenue while software development and programming generates seven percent. The survey was conducted by ITWC between December 2018 and January 2019 with 86 resellers completing a questionnaire. Another eight were interviewed to provide greater depth to the findings. Who are SMB IT resellers? The study found that 48 per cent of SMB IT resellers operated with two to four employees, while another 26 per cent were single individual operations. Although small, even by Canadian business standards, these companies service some large firms. 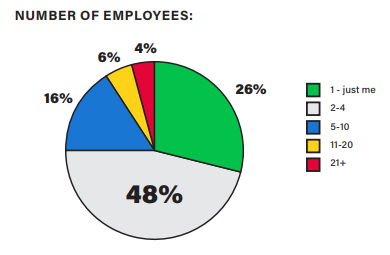 Of the companies with two to four employees, the findings showed that they were serving businesses ranging from one to 100 employees. The survey results also suggest Canadians resellers are more interested than some of their global counterparts when it comes to tailoring services to meet their customer needs. A large percentage of respondents (44 per cent) said they bundled products and services for sale. A similar study conducted in the UK found only 29 per cent of resellers identified bundling as a sales offering. Canadian resellers also displayed their independence with their desire to have their own storefront, as well as flexible product catalogues. Just over 64 per cent of respondents prefer to build their own customized storefront or to use their own website, with APIs to plug the products into it. Only 33 per cent of respondents in the UK survey felt this way. The survey makes it clear Canadian resellers take great pride in their relationships with their customers. When asked about their successes in business, many shared examples of how they’ve helped transform businesses. “Providing superior service based on a local relationship and offering clients strategic direction on which services to use are key for smaller organizations in this new environment,”said Beck. 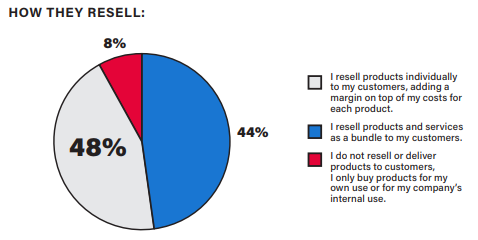 The study findings showcased that there is a new norm for SMB IT resellers. They are no longer simply resellers. They are IT experts who are offering a wide range of services, often bundling them together for affordability. And more frequently than not, they are doing it with a very small team of people.